Janet M. Starcevich, 78, of Virginia, passed away Wednesday, January 16, 2019. A memorial mass will be held Thursday, January 24, 2019 at Holy Spirit Catholic Church in Virginia at 11:00 am with visitation one-hour prior. Fr. Brandon Moravitz will officiate. Arrangements are with Range Funeral Home in Virginia. To sign the online guest book or to send condolences, please visit www.rangefuneralhomes.com. 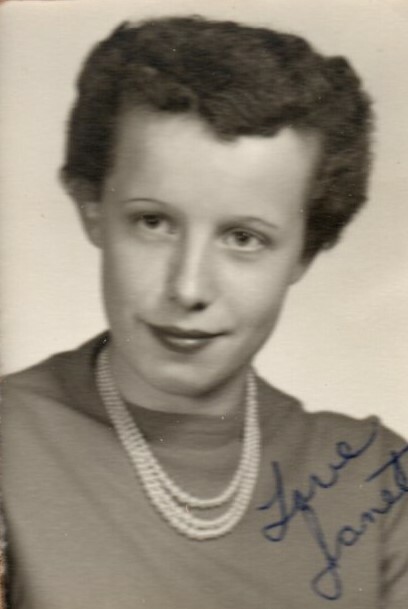 Janet Marie Starcevich was born June 8, 1940 in Virginia to Matt and Marie (Bozich) Orazem. She graduated from Roosevelt High School in 1958. Following high school, she attended Virginia Jr. College. On August 29, 1959, she was united in marriage to Dennis Starcevich in Virginia. From 1959 to 1968, she traveled with her husband around the world while he was in the military. In 1989, she returned to Virginia and worked as a bookkeeper for the Moose Lodge. She was active with the Virginia Senior Citizens. Janet enjoyed bowling, going out for dinner, Betty Boop, and she especially loved her dogs. She is survived by her husband of 60 years, Dennis; sister, Kathleen Koneczny of Oklahoma; three nieces; numerous cousins; and special friends, Tim and Barb Kuzma of Britt. I miss Janet very much she was a fun loving friend I love all the memories I have of her she will be truly missed and never forgotten!